Unless you’re Dale Carnegie, it probably can’t hurt to criticize your own sales methods fairly regularly. Are you doing all the right things at the right times to maximize your sales performance? 1. Be Open to Having Your Beliefs Challenged. Unhealthy belief systems prevent salespeople from producing the results that they are otherwise capable of producing. Your mentors will challenge what you believe. This is not to simply make you uncomfortable, but to help you realize what you actually do believe, and whether those things are either helping or hurting you. 2. Be Willing to Implement Feedback Quickly. Look at it this way: You are creating new habits with the feedback you are given. Since we know it takes many repetitions of an action for it to become a habit, the sooner you start using a new method, the sooner you will become proficient at it. Most people give up on something new before they give it a chance to succeed for them. 3. Be Willing To Be Held Accountable. In the most blunt terms possible, this means dropping the defensiveness and discontinuing avoidance. Yes, it can be uncomfortable to be called out and accept the blame. But where there is discomfort in sales, there is always growth. Not sure if you’re ready to take on these actions? 1. What does it mean if I’m wrong about something? 2. Have I been open to any outside beliefs or methods in the past 3-6 months? Have I tried implementing any of these yet? 3. Are my own inefficiencies more painful to look at in the light than failure of trying something new? If you’re quick to avoid answering one of these, or able to identify a weak point in your responses, that should tell you where to start. Then stay aware of — and willing to evaluate — critical behaviors like these moving forward, and you’ll be on your way continuous sales performance improvements. 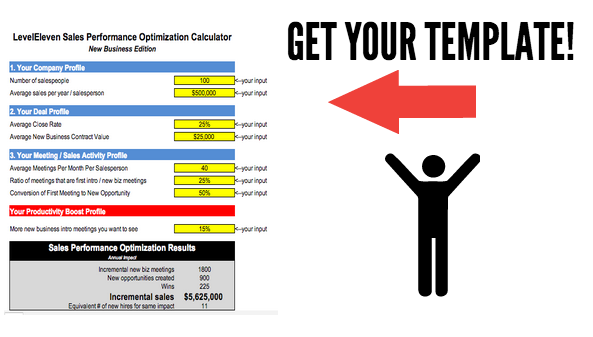 This quick guide will get you to stronger sales performance in just 3 steps.